Author Paul Morrison, owner of The Wood Cycle, presents his views and vision of the urban wood movement. A tornado destroyed a home and severly damaged a backyard walnut tree. The Wood Cycle milled the tree and combined its proceeds with oak salvaged from another tornado-victimized tree for the kitchen rebuild. 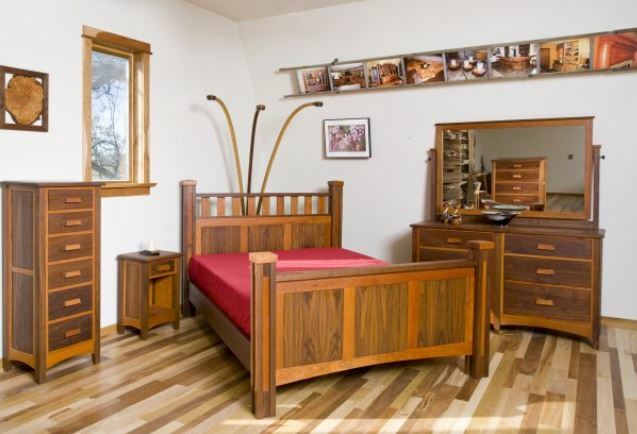 Black walnut with cherry accents adorns this urban wood bedroom set. Each piece was assembled using traditional dovetail joinery. 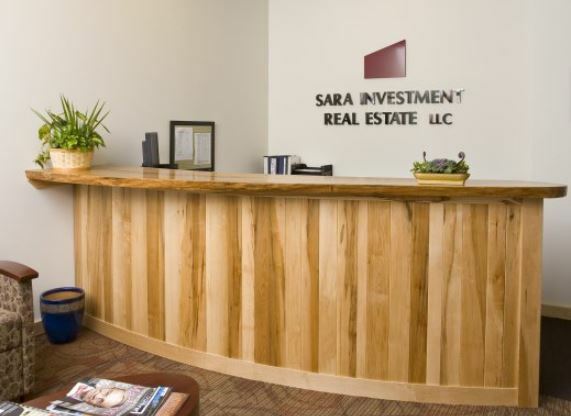 A felled red oak tree from the Wisconsin State Capital lawn in Madison adorns this reception desk. 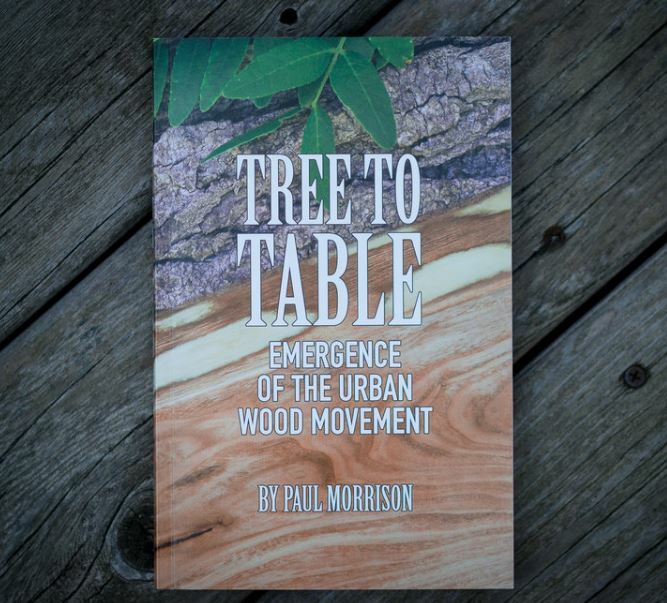 In his new book, “Tree to Table: Emergence of the Urban Wood Movement,” author Paul Morrison makes it abundantly clear that he did not get into the urban wood business to get rich quick. As his log pile grew “out of control” he quit his day job to devote his full time and energy to milling community and other non-commercial forest trees into lumber and fabricating that material into custom furniture. 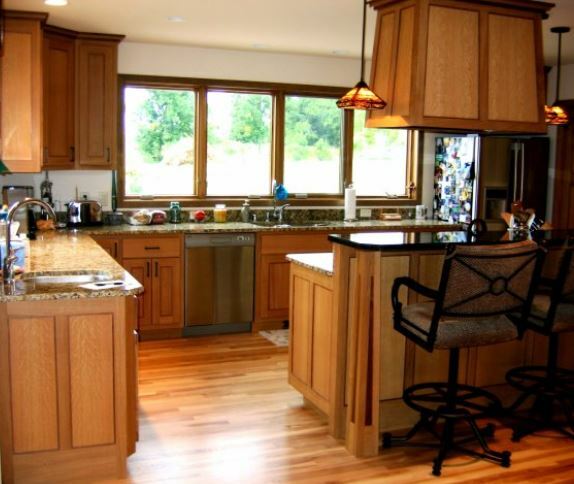 Over the course of the last 15 years, Morrison has built up The Wood Cycle of Oregon, WI, as a successful custom woodworking business and urban wood lumber source serving the greater Madison area. Morrison draws a parallel between the urban wood and farm to table movements, with an important distinction that tables are literally made of wood. Both of these movements embrace contemporary social attitudes including sustainability and supporting local businesses and economies. Added to this is craftsmanship, which Morrison notes is sorely lacking at most furniture retail showrooms in which a large percentage is manufactured thousands of miles away in China. Morrison’s book delves into the opportunities and challenges of operating an urban wood products business. He also emphasizes the need to develop a network to be successful and points to Wisconsin Urban Wood, which he is a founding member. He drives home these points with personal anecdotes of projects he has completed . Tree to Table is an easy and rewarding read. I personally enjoyed the book and heartedly recommend it to anyone interested in learning more about urban wood movement, especially those looking to make a living in this space or those already involved seeking hints at opportunities they might have missed. Tree to Table is available for $19.95 from Past 9 Publishing. Click here to order a copy or learn more.